Business Technology Consultants Group, LLC is comprised of Senior Busines & Technology Partners with extensive experience in Fortune 500 corporations. In addition, the average experience level is in excess of 20 years across diverse industries, company sizes and technology focuses. We believe that this is an unparalleled value to our clients. 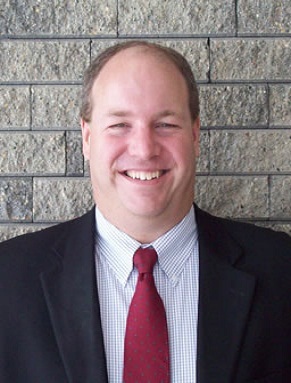 Chris is a business consultant based in the Fox Valley area of Wisconsin. Possessing over 20 years experience in information technology, his career started as a programmer in the early 1990’s programming in 17 languages for a fortune 500 company. 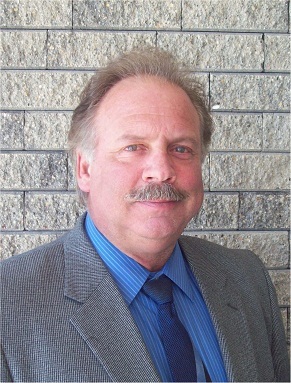 His career continued in PC support, UNIX and Midrange/Mainframe systems support, continued on with enterprise network support (including Cisco networks, wireless, RFID, VOIP, video conferencing solutions, blade computing solutions, SAN’s etc), then specializing in the design aspect of those technology solutions for customers. Chris has a an active security clearance and holds certification in Data Center Design, Build, Operations and Management. He is also pursuing certifications in ITIL and Lean Six Sigma. Chris has fine tuned his management capabilities through continuing education and has developed highly effective technical specialists leading to optimal ROI models based upon industry best practices. This has helped companies save money and increase sales and profit margins. His experience in business management and technology enables him to be highly effective in applying technology to achieve business goals. Working for private and publicly traded international companies at director level positions, he has been responsible for managing and directing all aspects of technology (ERP solutions, software application development teams and infrastructure support organizations). In his following, service organizations were constructed based upon ITIL best practices. With over 10 years management experience, Chris has been able to identify business process improvements by saving resources and materials within the business; thus enabling companies to grow with a larger profit margin. Chris has served as an advisor to executive management teams where he has developed business strategies and directed initiatives to ensure operational stability. Chris has experienced success in establishing, start-up, turnaround, and rapid-change environments within several industries: Health & Hygiene, Medical & Healthcare, Manufacturing, and Government contract. Chris continues to demonstrated the strategic value IT has in powering business by identifying, developing and project managing multi-million dollar projects (including successful outsourcing strategies). In doing so, he has maximized business performance, profitability and competitiveness, while building agile and innovative organizations. With extensive experience in creating technology vision & strategy, he delivers solutions that can be realized and managed within real world constraints. With exceptional communication and interpersonal skills, Chris builds high performing teams and have been able to operates freely across a company from the shop floor to the boardroom. From his perspective, IT organizations have the most exposure to all the ways a company takes care of its customers (internally & externally), the best insight over how the whole company functions and what’s important to each department. While Chris has specialized in many areas, his specialty remains in providing technology solutions and efficiencies to business problems that add business value and are within budget constraints. Providing IT solutions is his passion! As Executive Sales Consultant at the Business and Technology Consulting Group, Russ Geise draws from a twenty-five year career in sales, sales management, marketing, and brand management which includes diverse experience in the printing, coatings and chemical industries, real estate, consumer goods, government, and professional services. Russ built, managed, and then successfully sold into new and established markets, growing from nothing to a multimillion-dollar industry leaders over his tenure at previous engagements. There, Russ directly led business development efforts for complex seven and eight figure deals. Instrumental to the firm’s success was his development of a proprietary brand process, which is noted for its brand architecture and business assessment model that efficiently develops organizational platforms across all mediums. Russ also spent over a decade with Sherwin Williams the world's largest paint and coatings manufacturer. There, he gained extensive sales, sales management, and marketing experience by overseeing and closing complex 7 and 8 figure sales. He received several President Club and Masters Club awards for outstanding performance. Along with numerous Leaders club awards for meeting targeted yearly sales numbers year after year. He has taken this drive for excellence beyond the everyday work world to become a leader in his community as well, serving on the Town Board, Plan Commission and Joint Fire Board. Russ serves as an Executive Sales Consultant, offering strategic insight on sales efficiency, sales performance, and integrated marketing communications. He pioneered the creation of accelerated development and assessment tools to cost effectively offer advanced sales and marketing services to emerging companies. Russ has also established training programs on complex communication issues to educate and demystify the marketing and sales process. Russ is driven to excel and drive any sales program. Ensuring his passion for sales and his winning edge attitude become the hallmark of what he has to offer. He is motivated to be a sales and people builder. Turning any companies Sales Team into world class leaders that will in turn mean growth and profitability year after year.